Y’all Should Know that Lucky patcher is Very Popular App to Hack in-App Purchase on games/app Or Unlock its features free without paying a single penny. This is a full tutorial 2018! Warning:-You Must Have Rooted android Device and I’m Not responsible for any damage causes to your device. but we’ll trying to fix it , just comment your problem. 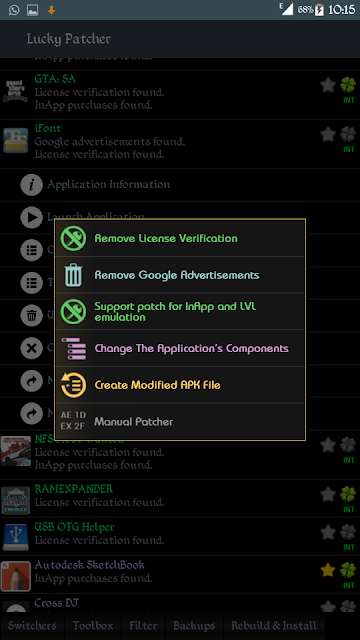 How to use Lucky patcher and Hack In-App Purchases without rooting? 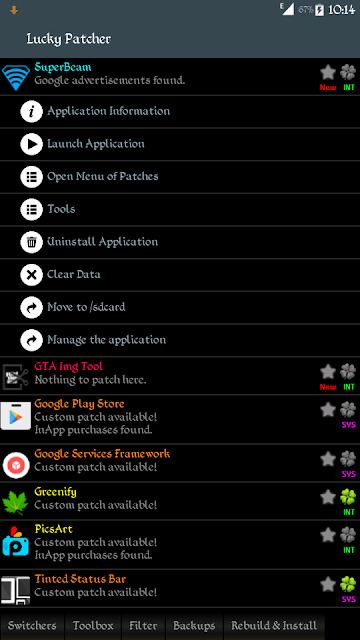 Open Lucky Patcher and choose any App. Click on open menu of patches. Then Check first two options and apply. Wait Till it completes, Check Patch result (work if 13% or more than 13%. Make sure You have working internet connection, then click on anything you wanna buy. You’ll get Lucky patcher window. Tick On Save Purchase(2nd option ). Done???? Now Enjoy free purchase. 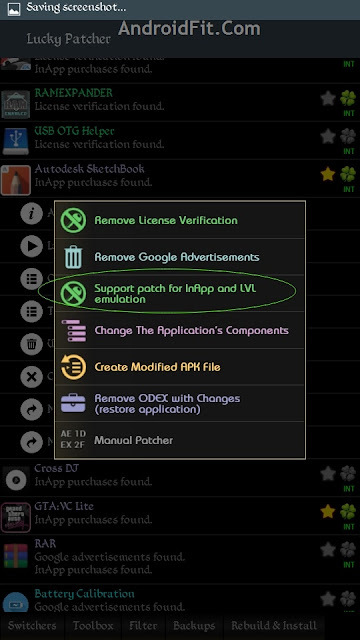 See this: How do I use lucky patcher and Hack In-App Purchases without rooting? First Open Lucky Patcher And Select Any App. Select Open Menu Of Patches. Now Click On Custom Patch. Now You’ll See A Patch Window with all patch features, Now Click Apply. Wait till It Completes, Then Check Patch result And Launch App. You’ll get all the features you’ve seen in patch window. Open Lucky Patcher and select App. 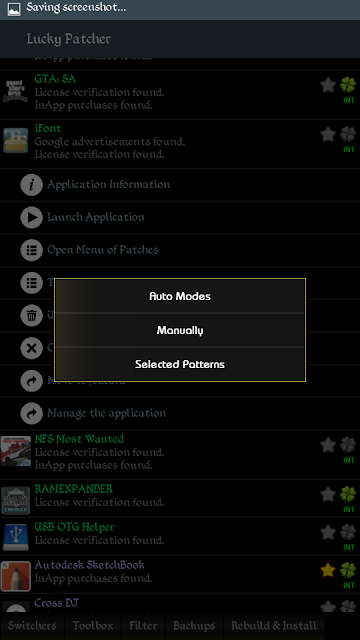 The open menu of patches. 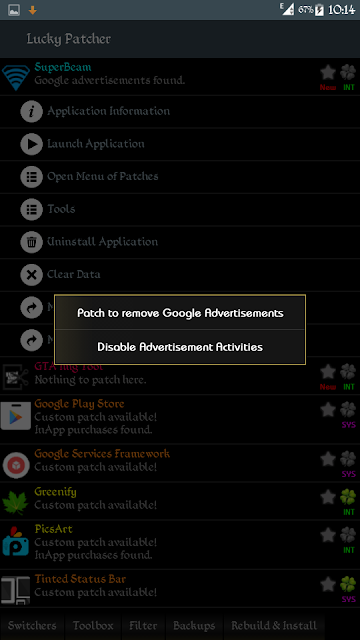 Now Select Patch To Remove Advertisement. Now Enable all options same as shown in the picture below. Apply And Wait Till completes, Launch App and Now you got rid of ads. How to remove Google license verification. 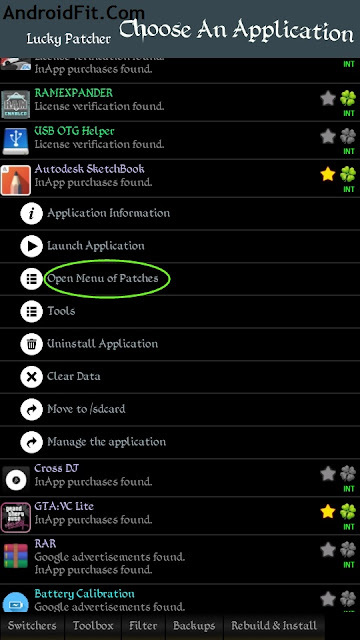 Now open menu of patches. Enable all options shown in the picture below. Apply and wait till completes, check result and now you removed it. Now Click On Block All Advertisement from Device. Now click on Add New Directory. Then Select Your Default Data/Obb Folder Using File Browser Option. 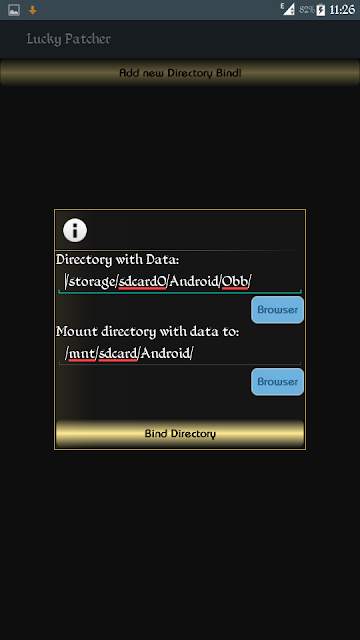 Select Folder Where you want to Mount and use as new obb/Data folder. Note that:-This feature used usually for huge game data that isn’t places in external memory card in some phones. 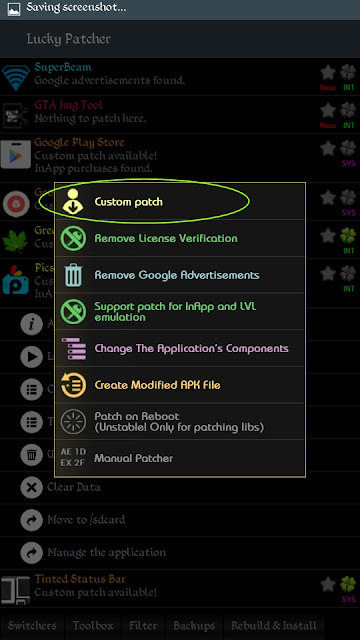 To install lucky patcher apk on your Android device, you do not need root access. But to get all the features of Lucky Patcher, you need to root your device. Rooting tutorial can be found on youtube or other sites. 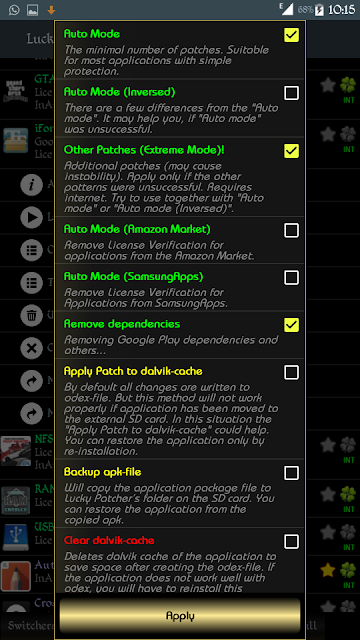 You can backup apps with lucky patcher without root access. So we strongly recommend you to root your device so you can get all the app features. Please support and share this. How do you even make your own custom patch? I know how to modify a APKs data to hack the games also with memeory editors so I wanna make a patch for games but how do I make the patch and upload it? Just clear your apps or game data. It keeps saying something is wrong with my purchase check with support team. It use to work but I undownlowded an app I was using lucky patcher for (Episode) and when I re-downloaded it wouldn’t work. hey how can i hack games like fishing saga or fishing hunter with lucky patcher. Hi.. Im a lucky patcher user. Any one can teach me how to gain golds for asphalt 8 airborne. Pls. TIA! Hey Lucky patches guys /gals, I hope u see this Because I want a game to be able to be hack the name of the game is Choices by Pixelberry it’s one of the group new games and it just like Epsiodes. SO I hope u guys can work on that for me Thanks and Bye ??????? ?